Adobe donations through TechSoup are made available as boxed physical product or through Internet download, referred to as electronic software distribution (ESD). To support TechSoup's GreenTech Initiative which focuses on conserving energy, optimizing the resources you have, and hopefully saving money, we are encouraging our members to request the ESD option for their Adobe donations. If you are planning on making a request for an Adobe product or have previously received a donation, here are some informative tips to assist you with your download. For general information on downloads, see the TechSoup article A Beginner's Guide to Electronic Software Downloads. Each fulfillment email will contain basic download instructions, as well as the serial number(s) for your donation. We strongly recommend that you have broadband Internet connectivity to download Adobe products that you get from TechSoup. Dial-up modems are limited to a bitrate of less than 56 kbit/s (kilobits per second) and are not recommend for downloading donations acquired through TechSoup. Check with your organization's IT department if you are unsure of the type of connectivity your organization has. Login to Adobe's download page at: https://adobe.subscribenet.com. Your log in information will be supplied with your fulfillment email. Don't worry about the Volume Licensing note at the top of the page. it doesn't apply to TechSoup donation recipients. After logging in, locate your donation in Adobe's product list and select. The products are listed alphabetically. On the following page, select the appropriate version of your software. If you have requested a version older than those shown, select the Release Archive tab to find the correct version. To begin your download, you may select either the HTTP Download or the Download Manager option. Most Adobe install files are quite large and some members may experience delays or timeouts while downloading. To ensure a successful download, Adobe recommends using the Download Manager option. Should there be an interruption during your download, the Download Manager will automatically resume the download from any interrupted point. You may also download the files to any computer other than the one on which it will be installed. For example, you may download the install files onto a portable flash drive while using a computer with a faster Internet connection and transfer those files to the computer that requires the actual installation. When you have completed downloading all necessary files to you computer, locate and select the first file from the download list. This file initiates the installation and extracts the remaining files. First, it's best if you remove older versions, or trial versions, of the Adobe software you're downloading before you install a new version. After downloading your product, you will have the option to install the product as either a trial or full version. Select the full version and enter the appropriate serial numbers for your product. If prompted with an invalid serial number message, please try cutting and pasting your serial number directly from TechSoup's fulfillment email. Some Adobe suites are supplied with multiple serial numbers for each of the products bundled within the suite. For example, Adobe CS5 Design Premium Suite includes separate serial numbers for Design Premium and Acrobat Pro. Be sure to follow the detailed instructions included in your fulfillment email to apply the appropriate key for your product. While TechSoup does not supply technical support for donations, there are many helpful resources that can be found on the TechSoup and Adobe websites. Find Adobe links that provide more information about activation and registration here. Adobe also offers download troubleshooting tips here. During the installation, some Adobe products may display a dialog box that gives you the option to enter your serial number or to use the product on a trial basis. TechSoup suggests entering your serial number. If you choose to run the product in trial mode, you will not be allowed to enter the serial number until the trial period expires. Suite products must be installed in entirety, on one computer. The individual applications of the suite cannot be installed on separate computers, even though they might appear to be separate files on the download page. If your computer system is behind a firewall, check with your IT personnel to see if it is configured to reject FTP transfers. If it is, your system administrator should be able to assist you. 2	G-40959	Acrobat XI Pro Win ESD	$45.00	$90.00	Shipped 10/26/2012 fully shipped. Case: This software is now on computer A which needs to be retired - the power supply failed and a replacement power supply is now located outside of the case - ugly it is but working. Replacement computer, Computer B needs this Acrobat XI Pro before it can be placed into service for Computer A.
Acrobat XI Pro is out-of-stock from Tech Soup or I would simply purchase another copy. Question: Is there a way to "move" or get a redundant copy of Acrobat XI Pro for computer B. Yes they might both be in service for a brief period - this is production environment and the Acrobat XI Pro is required. If you're the licensed user, you may also install and use the Adobe Acrobat software on a secondary computer. The secondary computer may be a home computer or portable computer and must be of the same platform. You may not run the software simultaneously on both the primary and secondary computers. Once you replace Computer A, please deactivate the Adobe software from the computer. Please follow this link for deactivation directions: forums.adobe.com/.../926511. You must first deactivate your software before you uninstall it on one computer and install it on another. Unistalling does not deactivate your Adobe software automatically. We are preparing to download our newly purchased copy of Adobe CS6 Design and Web Premium and would like to also be able to use it on a secondary computer or laptop if the need arises, which we understand is allowed. Do we just download to this secondary computer. We understand that we would not run both program simultaneously. Once you install the software on the primary computer, you will be able to install the program the same way on the secondary computer. Just follow the instructions within the fulfillment email. If you experience any issues, please call us at 800 659-3579, option 2. Does the comment above regarding downloading , "Don't worry about the Volume Licensing note at the top of the page. it doesn't apply to TechSoup donation recipients," mean that we do not need to purchase additional licensing for a second computer used by a second user? If not, how do we purchase an additional license for the second user? All Adobe Suites product bundles and individual products are supplied as a single-user license, which means that they must be installed and used on the same machine. The Adobe program guidelines and restrictions state that qualified organizations may request either one Adobe Creative Suite product bundle or four individual products per fiscal year (July 1 - June 30). If your organization owns a single-user Adobe product that is installed on a computer at work, a single user can also install and use the software on one secondary computer of the same operating system at home or on a portable computer. However, you may not run the software simultaneously on both the primary and secondary computer. If you would like to purchase additional Adobe licenses, please visit www.techsoup.org/.../Adobe. We're attempting to download Adobe Creative Suite, however, the user name and the password is not working on https://adobe.subscribenet.com. I have tried manually inputting it and also copying and pasting. Both methods are not working. I have also attempted to retrieve the password by typing in my email but no reply from TechSoup was found in my inbox. Is it possible to get any help from this? In an effort to strengthen the security of its software download site, Adobe has updated its password requirements. To meet these new security standards, TechSoup has created a new password for your Subscribe.net Adobe download account. The URL and your Login ID will remain the same. I need the Adobe Illustrator for my business, however you are out of stock of the ESD download. How often do you have access to this licensing product? I purchased Adobe Creative Suite cs4 around 2009 via Techsoup. My computer hard drive had to be replaced and I could not get anything, including software from the drive. I have the entire package in the original container, but there is no serial # or Product key on the plastic case. How can I get the serial number to install it on my new computer. I also installed it on my office computer, but could not find a serial number on any of the software. 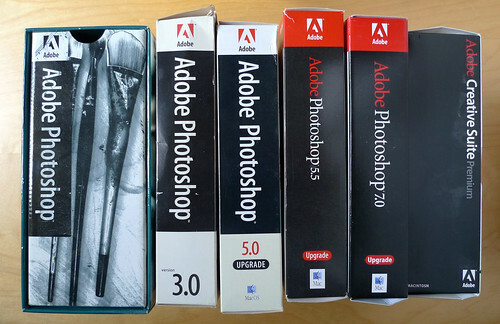 Are Adobe products still available via tech soup? Seems like they are always OOS? Downloading it onto a DVD is useful if you want to install the product onto multiple devices or for a backup if Adobe ever removes the download from their website, but is not required. You can download it as many times as you like, but each download needs a license to activate it (which TechSoup provides in the fulfillment email). It is generally one license for one computer, but if you're the licensed user, you may also install and use the software on a secondary computer. The secondary computer may be a home computer or portable computer and must be of the same platform. You may not run the software simultaneously on both the primary and secondary computers. You may very well just download the file directly onto each computer, whichever works best for you and your organization. We ordered and received Adobe Acrobat XI Pro for Windows (2 licenses) in June but are just now attempting to install them. With both serial numbers, they come up as invalid serial numbers. I've typed them in and cut and pasted them with the same results. Help!